Well, America alone sees the recycling of 12 million cars every year. That comes out to about 33,000 per day, or 1 every 3 seconds. That means by the time you’ve read this, 3 cars have already been stripped down and put to new uses. Those cars don’t appear at the scrap yard out of nowhere though. Towing and Scrap Companies spend millions on advertising to get their hands on these cars, but that budget is a fraction of the value of the vehicles. In this article, we will cover what in your car is worth money, and how to avoid getting exploited by large companies. Here is a brief explanation of what auto scrappers take into consideration when giving you a quote. 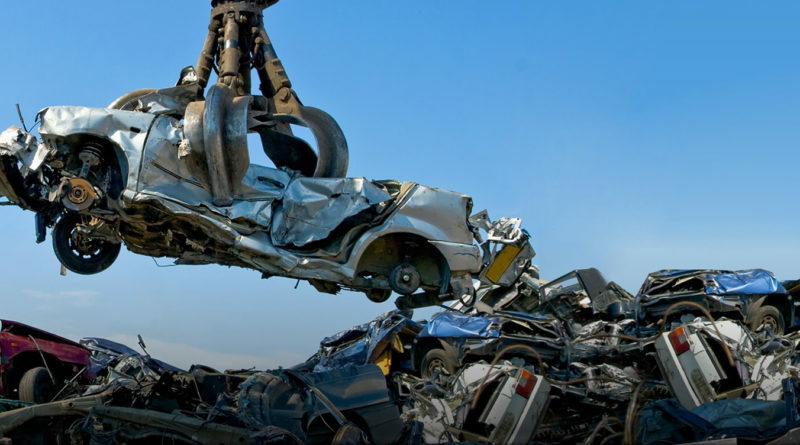 Contrary to popular belief, scrap yards and the scrap car removal companies aren’t related. Instead, the Cash for Car companies acts more as middlemen, buying your car and selling them to scrap yards at a higher price. The scrapyards do all the stripping, tearing down, and reselling of the valuable part of the cars. This means they can offer you more money than a company that just wants to buy low and sell high. They usually won’t come to you, however, so if your car doesn’t run you might need Cash for Cars. There are ways to still get more money than they offer you though, which we will cover later on. Even if the highest quote you get is from a scrapyard, your car could have a much higher hidden value that you didn’t know about. My goal is to make you aware of this so you can get the most for your car. Ever heard of people who rebuild cars? Odds are that you’ve stumbled across a Youtube video of somebody trying to put back together a wrecked Bugatti or something. Fun fact: There are scrap yards dedicated to only carrying exotic car parts. Need a new McLaren door? Lamborghini bumper? Check them out. The people who do this see their cars as pieces of art, and are willing to spend incredible amounts of money for the parts necessary to finalize their project. This can range from a $20 windshield wiper, all the way to a $20,000 door. Where do you think they get these parts? Manufacturers rarely provide replacements for individual pieces. They get them from scrap yards and marketplaces specifically for this kind of stuff. There is an incredible amount of potential value not just in scrap metal, but individual pieces such as bumpers, fenders, doors, etc. It can be difficult to know if those valuable pieces are in your car or not though, but don’t worry. I have put together a useful list of things to do to figure out if any parts within your car are worth anything. These are all important because they will help you with research later on, along with being basic information you should know. I’ve linked a page explaining how to figure these out if you’ve forgotten. Go on Facebook Marketplace/Car Rebuilding groups and look for parts your car has. The most commonly searched parts people look for are: bumpers, fenders, doors, and ¾ panels (the part between the trunk and door). 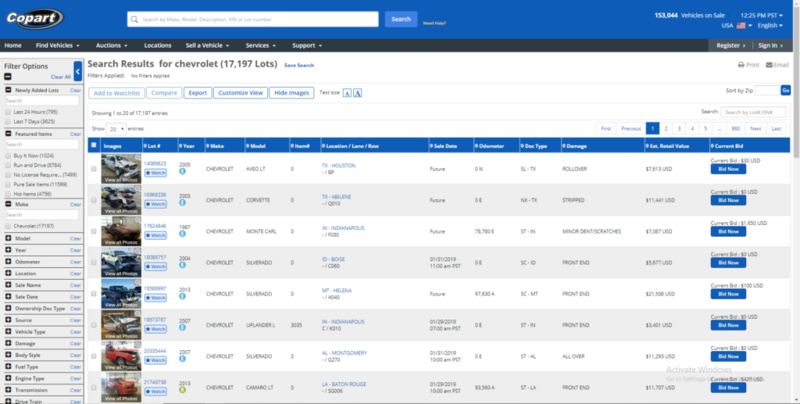 Online auction sites such as Copart and IAAI are an excellent tool for research regarding your scrap car and if it has value to car re-builders. Often you will find somebody looking for a part you have, and it might be worth it to just sell them that part first, then scrap the rest of the car. I know this can seem daunting at first, but trust me the car rebuilding niche is very welcoming to people trying to sell scrap parts. I’ve seen people post pictures of their cars trying to sell parts before scrapping them, and by the end, there’s almost nothing left to scrap. If you’ve managed to accomplish all this and sell the parts that you could, it is time to hand it into a scrapyard. The average 4-door sedan contains about 2,400 pounds of steel and 300 pounds of aluminum. For you, that translates to an average of $300 from a scrapyard. 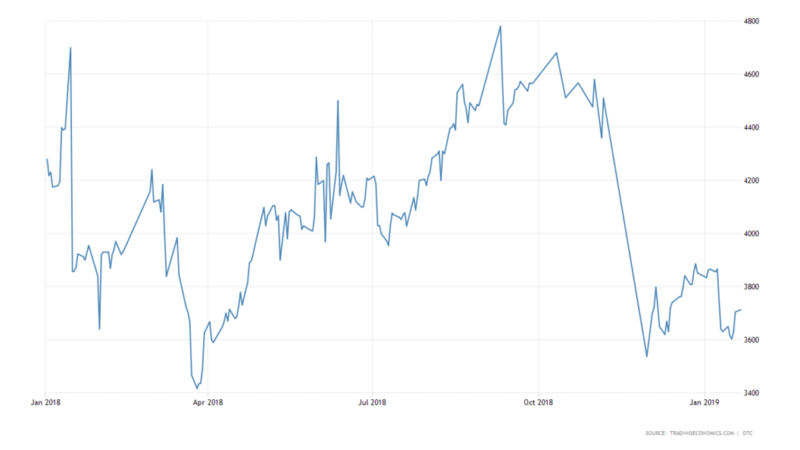 Keep at mind scrap metal prices fluctuate, so keeping an eye on the value of steel and aluminum can help you pick the right time to sell. It is important to be aware that there are different qualities of scrap metal, so if your car has rust spots try covering them up with tape or something similar. Keep in mind scrapyards aren’t in the business of coming to you and picking up your car. This means that if you don’t plan on driving it to the yard and having another way home, the Cash for Car option might be best. As mentioned earlier, the rates are lower but they will come straight to your location and remove the car hassle free. This video follows the boys at Speed Academy as they go through the entire process of scrapping a car. Make sure to watch it so you know what to expect. There are many scrap car horror stories where people agree to a certain price over the phone, and the operator ends up swindling the seller. Here is a common trick companies will do to pressure you into selling your car for less. They will arrive and quickly hook your car up to their tow truck. Once this is done, they begin to look over the car and start pointing out “flaws” telling you the value of the car isn’t what was expected. Suddenly they are in a hurry to get to another job and don’t have time to de-attach your car, so you better just take the money. Sounds suspicious right? Well, everyday people lose up to hundreds of dollars from this. Now that you’re aware of it though, make sure to remain firm on the quote you were given because at the end of the day there is always another option to go to. I hope my guide helped you realize there is a lot more worth to your car than companies let on. While it is very easy to get a car scrapped, very rarely do people get as much money as they deserve. Using this post as a guide, I know you will be able to use these key points to make sure you don’t lose out. Directly contacting scrap yards is usually better than a Cash for Cars business. There is much more value in your car than just the scrap metal. Identify what might be worth more than scrap yards are letting on, and how to sell it as well. Possible tricks companies will use to underpay you for your car.